"Ultra-violet air disinfection is a potentially important technique for environmental control of airborne infection." Most people spend the majority of their time inside their home. The Environmental Protection Agency (EPA) warns that the air inside your home may be at least 5 times more polluted than outside air. The EPA has listed indoor air quality as one of the top five environmental health risks that we face. Microscopic mold, mildew, bacteria and viruses linger in the air, leading to allergies, asthma, respiratory disease and infection. These unseen biohazards can live and breed within your air conditioning systems' moist environment, encouraging micro-organisms to breed, multiply and grow. And once airborne, unseen particles can pose a serious health threat to you and your family. Even the cleanest home can be a breeding ground for the micro-organisms that may live undetected within your air conditioning system. 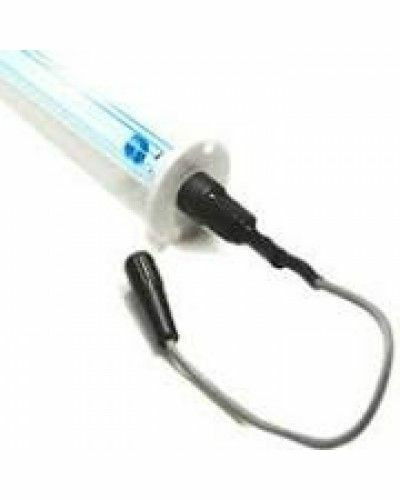 The Blue Tube UV is the simple and complete choice in UV light for all residential applications. Everything you need is in the tube! Just connect to a low voltage transformer and install the UV light where needed. This is the most popular model because it is easy to install within your air conditioning system and fit the widest variety of applications. There are many spectrums to "light".....these include infrared, radio, x-rays, gamma, and ultra-violet rays. Germicidal UV is the narrow wavelength of 254nm used to inactivate airborne pathogens. This specific UV wavelength has been recognized since the early 1930's as an effective germ and virus killer. Micro organisms that travel through your indoor air can get trapped in the moist environment of your air conditioning system. Bacteria can then breed and spread throughout the system and your home. 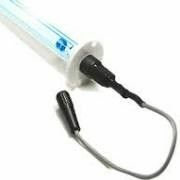 The Blue Tube Fresh-Aire UV Light System attacks and sterilizes these bacteria in your air conditioning system, where they live and breed. The Blue Tube purifies the air that moves through your home, improving the quality of your indoor living space. Germicidal ultraviolet light produced by the Blue Tube Fresh-Aire UV light system penetrates the cellular walls of micro-organisms present in your air conditioning system, causing cellular damage and either killing the cells or preventing them from reproducing. UV lights are most effective when installed to shine on or be near the air conditioning coil section of your existing furnace or electric air handler. If you can't install the UV light to shine on the coil the next best place is in the return air duct.. They operate on the low voltage portion of your systems control voltage for safe and easy installation and is magnetically attached to the inside wall of the coil cabinet or return duct. If space does not permit, then it can be installed directly above the furnace or air handler in the ductwork. Installation, in most cases, will take less than half an hour. 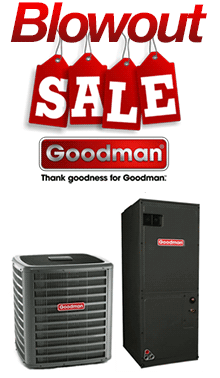 For best results, it is recommended that it be installed by a qualified air conditioning professional. If you are handy around electricty the directions are simple and straight forward for installation. In addition to the undisputed effectiveness of UV light sterilization with regard to your health, field and laboratory tests highlight its ability to clean indoor cooling coils that have been caked with mold and mildew. While you're probably familiar with the tedious task of changing air conditioning filters, they do little to prevent build up on the cooling coil. The photo to the left shows a dirty evaporator coil that exists in many air conditioning systems. In addition to the obvious detrimental effect on the air quality, this coil is reducing airflow by about 50%, resulting in higher operating costs. The same coil is pictured on the right after being exposed to a UV light system for two to four weeks. The light has actually "scrubbed" the evaporator coil back to almost factory new condition -- with no caustic chemicals or expensive cleaning services. This coil was cleaned entirely by the effects of the UV light. Leaving a coil untreated, with the type of build-up pictured above is often referred to as "dirty rag" syndrome.... imagine a moist, moldy rag placed over the air conditioning vent continuously introducing its contaminants into the airstream.... the dirty coil has the same effect. The savings resulting from the improved efficiency and airflow across the coil can help the Fresh-Aire Blue Tube UV light pay for itself through reduced operating costs (utility bills) and maintenance.